At Braille Institute we are committed to providing our staff, clients, and donors with our current financial information and documentation. You can download current and back issues of our Annual Report called Light Magazine that has detailed financial reports. You can also view and download audited financial statements as well as our IRS Form 990 below. 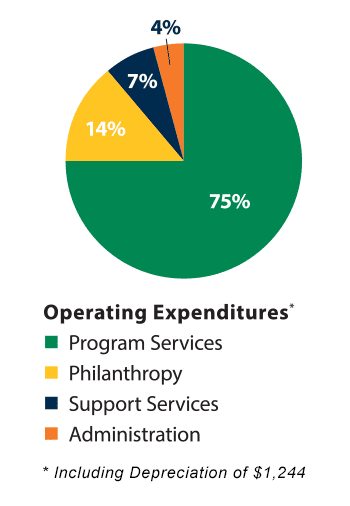 If you have questions about any of these documents, our donor team is standing by to make sure you feel confident about making a contribution to Braille Institute where over 76% of our revenue goes directly to programs and services. For more information call 1-800-BRAILLE (272-4553) Monday – Friday, 9 a.m. to 4 p.m. (PST).